Get in touch with our customer support team today and we will be happy to help you. 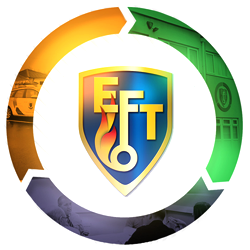 Simply give us a call, or use our integrated contact form below to send your message directly to the EFT customer support team. We are committed to protecting your privacy. We will only use the information that we collect about you lawfully (in accordance with the Data Protection Act 1998 and GDPR) The information we hold will be accurate and up to date. You can check the information that we hold about you by emailing us. If you find any inaccuracies we will delete or correct it promptly.